Second day hair can sometimes feel a bit like wearing that top you took out the laundry basket and thought you could get another couple of wears out of. It doesn’t quite feel right, look right and you’re convinced everyone has noticed it. Washing your hair less is nothing to be ashamed of - in fact minimising your daily washes will help save water (not to mention time) and can actually have a positive effect on your hair, preventing dryness and breakages and reducing oiliness. However, sometimes second day hair just doesn’t have the bounce, shine and manageable style of a freshly-washed ‘do. How can you recreate the look and feel of a first day wash when you’re a couple of days in? We’re here to help! Treating your hair to a daily shampoo can have the potential to imbalance the hair’s natural oil production, and in some cases strip colour from the hair quicker. For starters, using a sulphate-free shampoo can help as it’s more gentle and less stripping to the hair and scalp, causing the body to balance sebum (aka oil) levels in the hair that a sulphate based shampoo can disturb. For finer greasy hair types we recommend Organic Colour Systems Power Build for its strengthening and colour retention qualities. However, it goes without saying that shampooing less as a whole can be a good thing for all hair types - plus, who wouldn’t appreciate the extra shower time saved? Choosing to wash your hair less can sometimes mean having to deal with some initial greasiness whilst your scalp adjusts to your new routine. You’ll also have to deal with issues caused by sleeping on your hair overnight such as kinks or frizz. 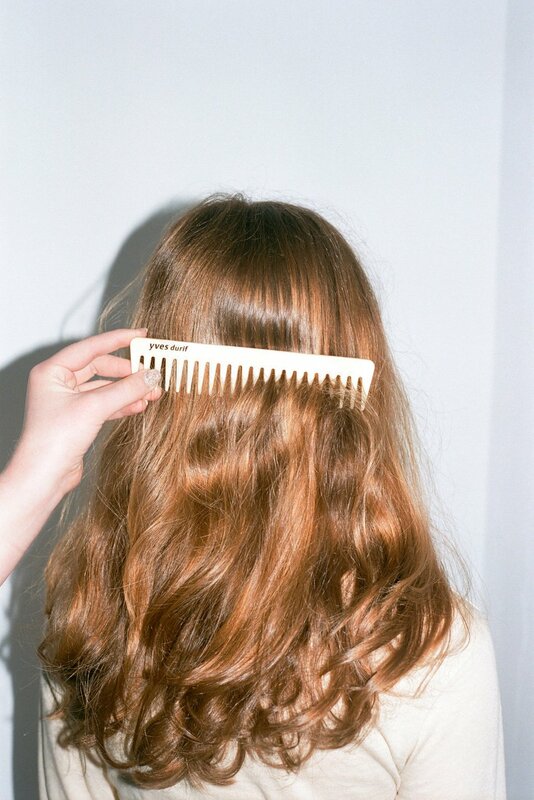 You may like to invest in a good dry shampoo to tie you over, and if you are the type of person who wakes up in the morning with your hair sticking up all over the place, a little drop of serum and a good brush can go a long way - on brushed hair apply with your fingers through midlengths and ends, twirl pieces of the hair back into place. If you have curls or a strong wave that does not take well to brushing you may like to ‘mist’ your ends with some water from a spray bottle to allow your curls to re-form by twizzling with your fingers. Washing your hair less will actually decrease the greasiness of your hair over time, as the natural oils that your scalp produces will balance out. Though the second-day grease may not disappear immediately, Mia suggests using a dry shampoo as prevention rather than a quick fix. “If you suffer from greasy hair a lot, try applying some dry shampoo to the roots of your hair after its been washed and dried. 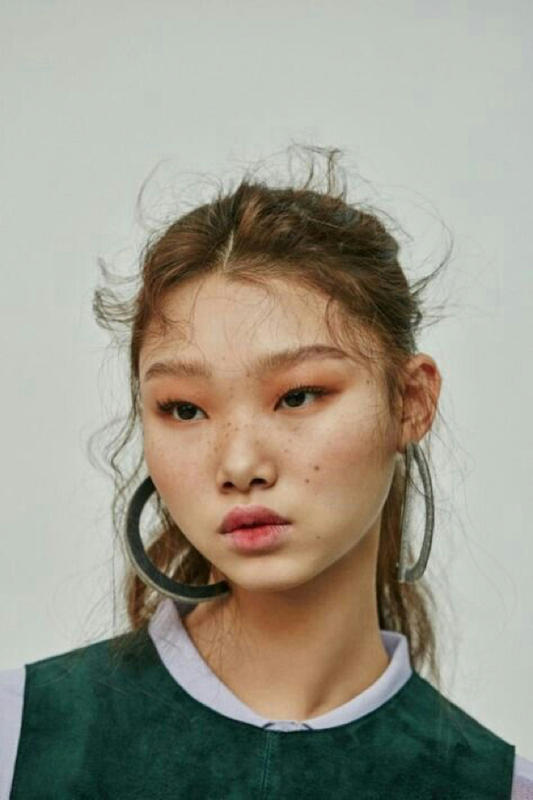 This allows the dry shampoo to absorb the excess oil as it appears, rather than sitting on top.” As an additional measure, try to keep your hands off your hair during the day, to avoid transferring oil and dirt onto your hair. Your hair may also be frizzy due to the friction caused by your cotton pillowcase. Though soft and comfortable, cotton can potentially catch the hair more whilst you sleep. Instead, try opting for a silk pillowcase, which allows the hair to lie flat and glide against the fabric, causing less damage. Alternatively, try a pillowcase made from bamboo as a vegan option. Next time you think your hair is due a shampoo, try out some of our tips and see if you can go an extra day without washing to improve your hair’s health. 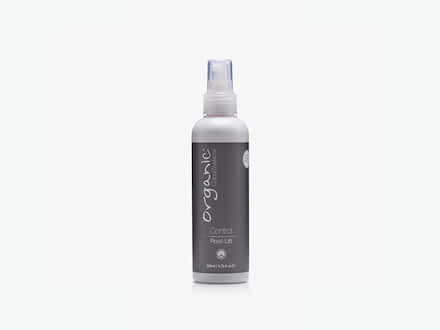 This styling spray will give you all the lift and volume you need, without weighing the hair done. Make the most of your second day natural texture with no frizz and plenty of shine. Looking to pump up the volume as you minimise washing? 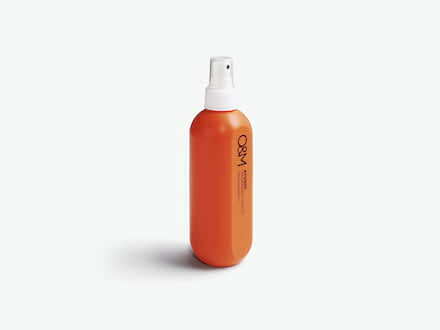 This product by O&M is a thickening miracle worker, adding body to fine, flat or just limp-feeling hair.